We have taken out the smoke and mirrors and all of the fluff. Your team is tailored based on your brand's needs. You work directly with the people doing the actual work on your brand. No bait and switch with us. You get to work with the people actually doing the work, and not pay for folks with fancy titles that you never see and have no idea what they do. Brand Strategy, Digital Strategy, Launch Strategy, Media Strategy & Positioning, Campaign Development, Graphic Design, Creative Collateral, Logo Development, Brand Identity, Content Development, Website Design & Development, and E-mail Marketing. 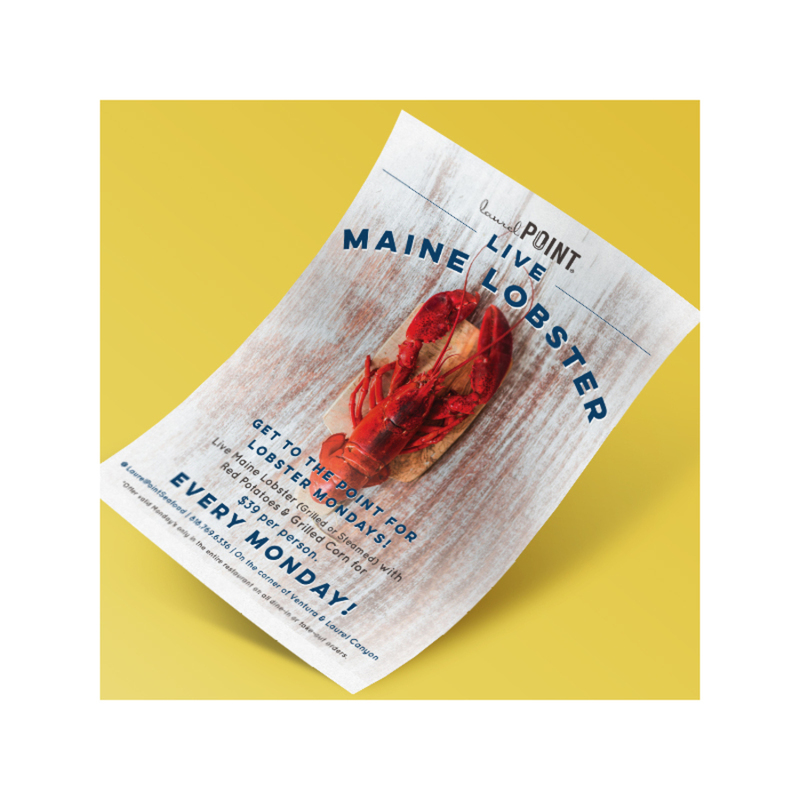 Custom branded poster for , Laurel Point Seafood, a restaurant in Los Angeles.